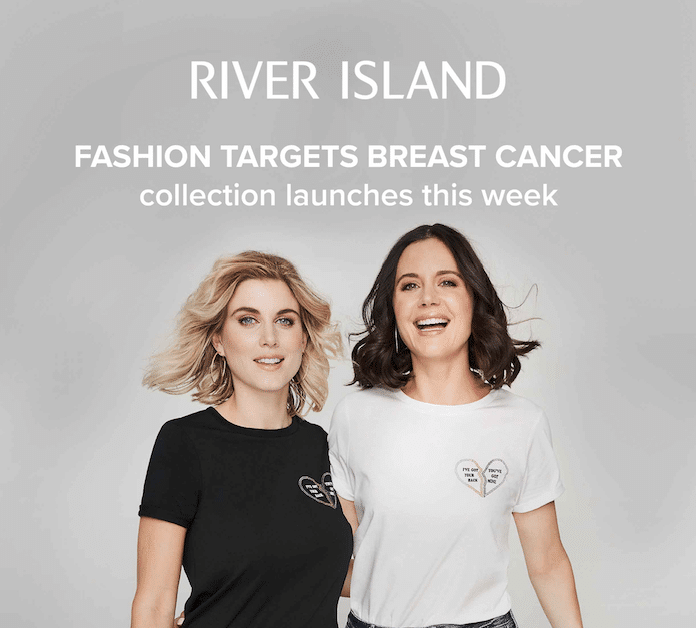 River Island’s Fashion Targets Breat Cancer collection launches this week. 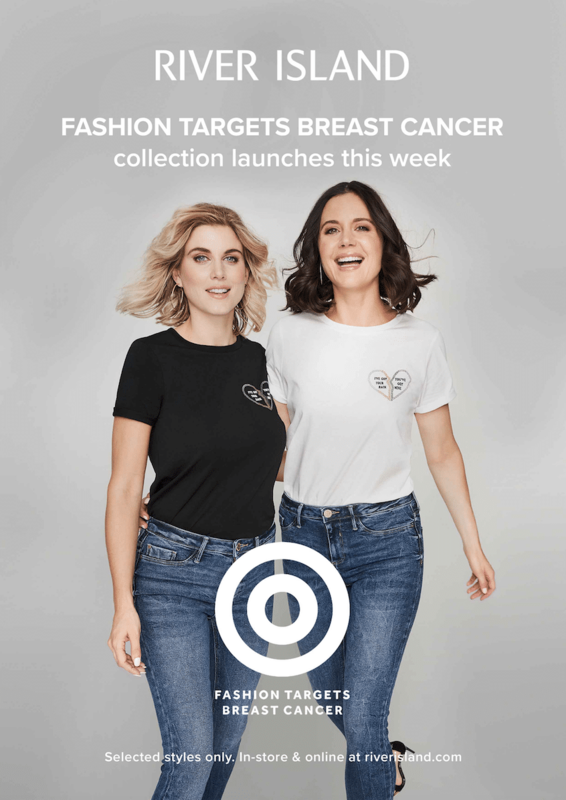 As part of the campaign, there are bespoke tops, jeans and bracelets available in store. 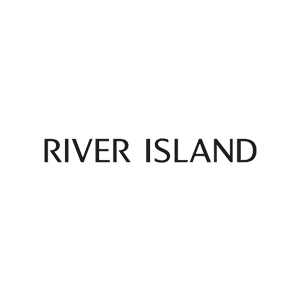 30% of sales go to the charity.